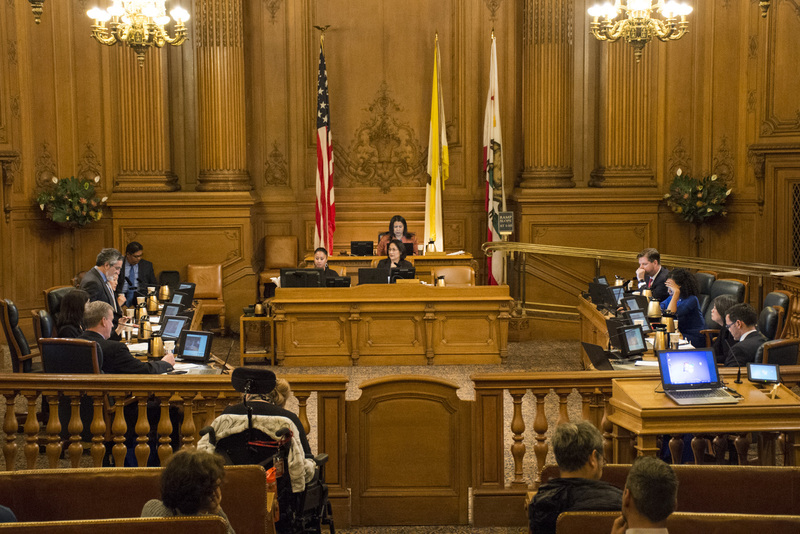 San Francisco Supervisors sent a planned nine-story affordable senior housing project onward toward construction, unanimously rejecting an appeal of its prior approval. The appeal, represented at Tuesday’s hearing by Shotwell Street resident Craig Weber through the Inner Mission Neighborhood Association, raised concerns about adding 94 units of housing without additional parking, about failing to promote mixed-income housing and about crime increases in areas dense in low-income housing. “This is not about opposing low-income housing, this is about overall impacts in the Mission,” Weber said. Supervisor Hillary Ronen sharply criticized Weber’s concerns before moving to uphold previous planning department determinations allowing the project to move forward. Other supporters of the project had harsher and more personal words. Mission Local Depends on Your Support to Cover the News. Join Now. Weber and others who spoke in favor of the appeal maintained that they were not opposed to low-income or senior housing, but rather to the particulars of this project. “We want to make it very clear that this association is not opposed to low-income senior housing. We are opposed to lack of environmental review,” Weber said. The appeal largely mirrored a similar one that the Board upheld against a project at 1515 South Van Ness Avenue in November of last year, which Weber referred to as a sort of precedent. The similarities between the appeals were not lost on the project’s proponents. “I have worked on some of these appeals on the other side, and I recognize a lot of the words and phrases in this document that they’ve filed. Huh, interesting,” said Rick Hall, a resident who has opposed market-rate projects and restaurant conversions in the neighborhood. Supporters of the project, however, rejected the idea that the projects were similar, primarily on the basis that the units are all below-market-rate and being developed by nonprofits, the Mission Economic Development Agency and Chinatown Community Development Center. Parking, several commenters said, should not be considered the same way for seniors as for general market-rate housing, as low-income populations and senior populations are statistically less likely to own cars or drive much. The neighborhood is also transit-rich, they argued, and the nonprofit services on site would include shuttles to and from grocery shopping and medical appointments. The fact that the project would demolish an auto repair shop, Papadopoulos said, is mitigated by an ongoing effort by the nonprofit developers to relocate that business within the Mission. But most of all, the dozens of people who came to speak in favor of the housing being built were there to underscore the dire need for affordable housing, for seniors in particular. One woman, Iris Merriouns, cited the example of her recently evicted 100-year-old aunt, Iris Canada. “Please do something while you have time for your senior population,” she told the Supervisors. Patricia Kerman, a senior living in the Mission, said she is fighting her second Ellis Act eviction and has few options if she is indeed forced out. This story has been corrected: 94, not 96, units are planned at 1296 Shotwell St.
Craig Weber was trying to organize the opposition to this development on Nextdoor. Happy to see that his and his group’s arguments -a neighborhood group I’ve never heard of, by the way, except on Nextdoor, were rebutted.. If you are discomfited by density, you are living in the wrong city.